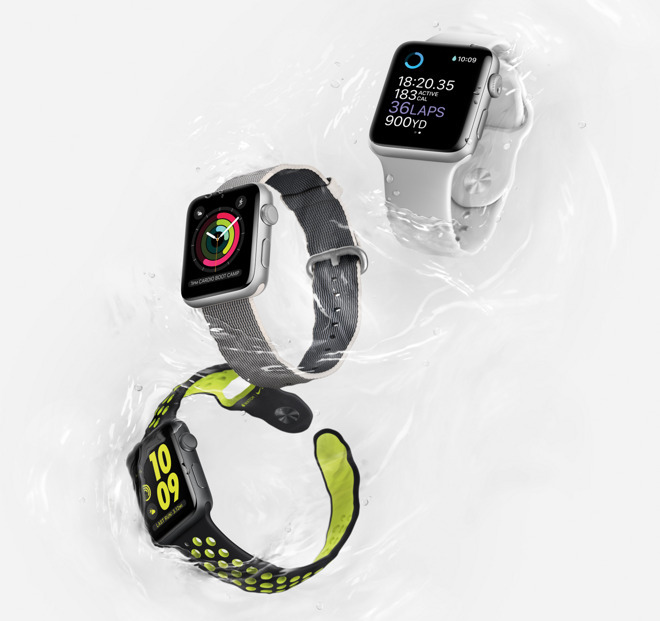 Apple on Wednesday revealed the second-generation Apple Watch, dubbed the Series 2, with built-in GPS, a new waterproof design, and what Apple claims is the brightest display ever shipped in one of its products. It will be priced starting at $369 in a standard edition coming Sept. 16, with a Nike+ running version arriving in October. With dedicated GPS, the Series 2 will be able to track a user's distance and pace while walking, running, biking and engaging in other exercises. 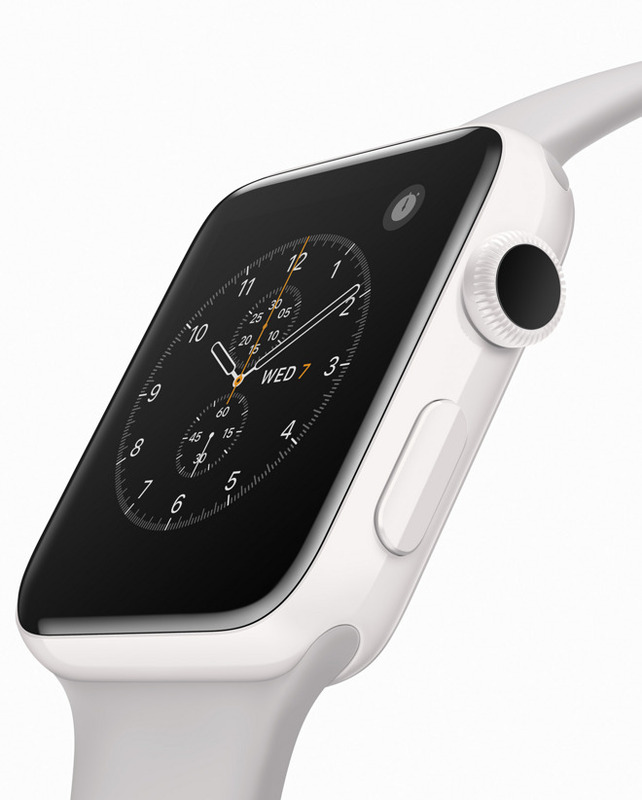 Apple will also allow developers to tap into the GPS radio on the new wearable. The new Watch is water-resistant to a depth of 50 meters, the industry standard for a swim watch. New seals and adhesives were developed to ensure these capabilities. The device also has a unique speaker system, which vibrates to eject water after a submerged workout. Swimming is in fact a major focus of the device. Over 700 swimmers were analyzed for fitness tracking, and the device measures stroke efficiency over time to customize for more accuracy. 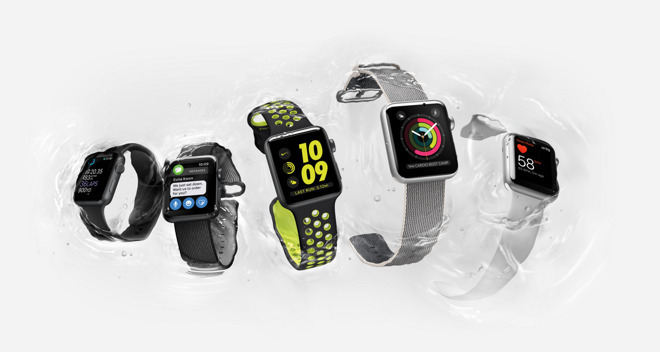 The screen on the Series 2 is said to be twice as bright as the first-generation wearable. Inside, the device boasts a new dual-core S2 system-on-chip that's capable of delivering higher-performance apps. In one demonstration, a real-time astronomy app was said to be running at 60 frames per second. Cases are made of aluminum or stainless steel, as well as a new white ceramic option that Apple says has a "pearl-like shine," while being four times harder than stainless steel. 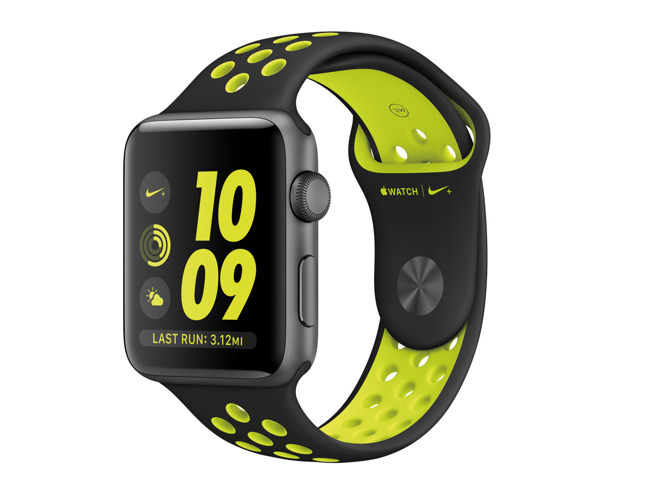 Apple also announced a partnership with Nike to create the Apple Watch Nike+, a model designed specifically with runners in mind. It features a stretchy, perforated band, and a lightweight aluminum case. Nike-specific features include running display modes, unique Siri integration, a Sunday running club, customized motivations and more. The watch itself will come in four colors, and will be priced at the same $369 as other Series 2 models.